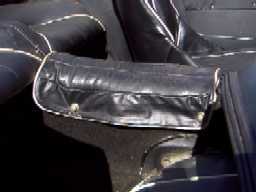 .....earlier cars did have a deeper armrest...it was changed sometime in late 1957. 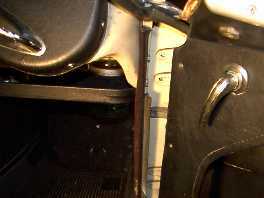 Possibly coincided with the new six port head. 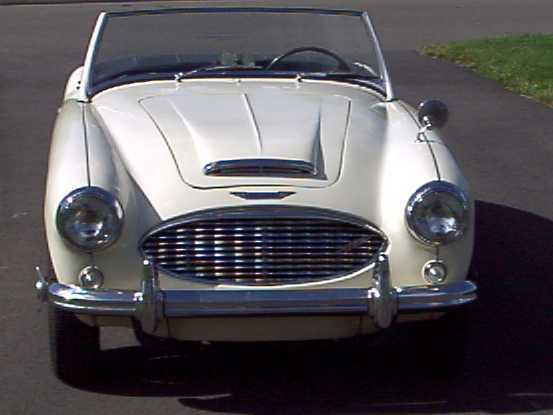 This is a photo of another unrestored BN4 but an earlier car than Ricks. 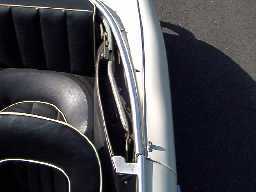 - This car has the deeper armrest that was on 100-Sixs when first intoduced in 1956. 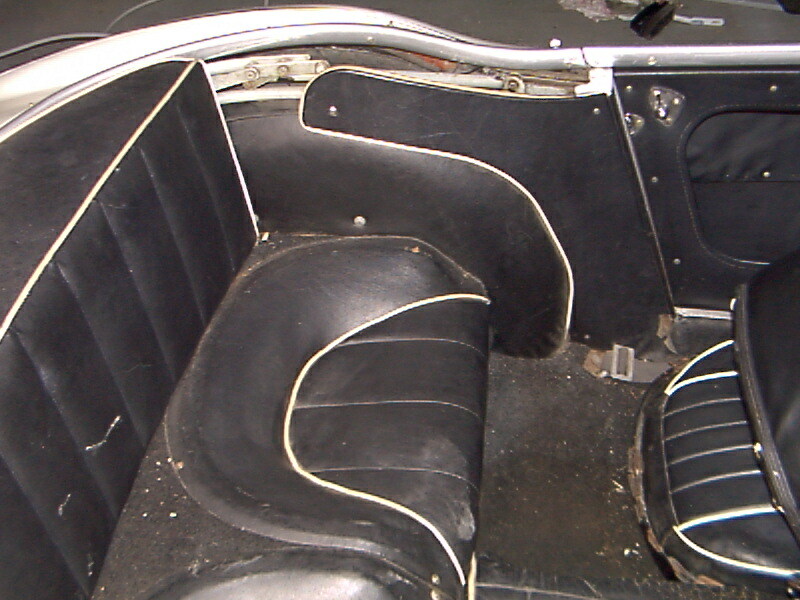 It was changed some time in 1957 to the shallow type as shown on Rick`s car. 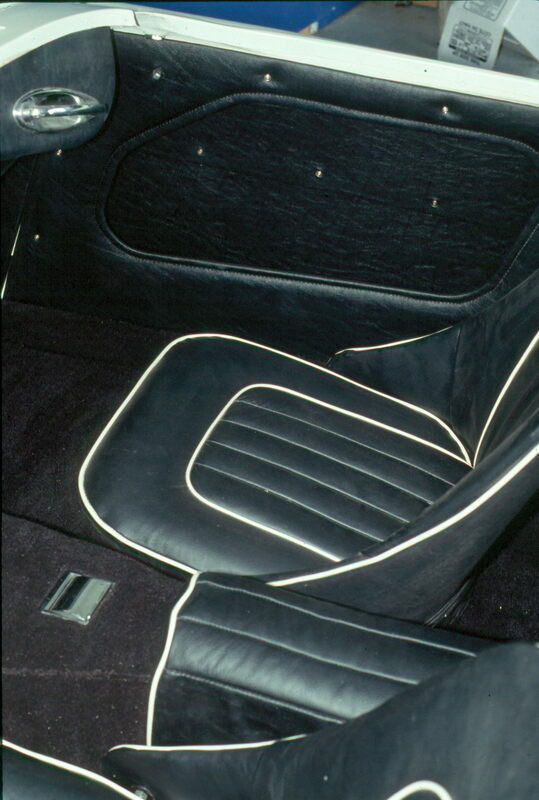 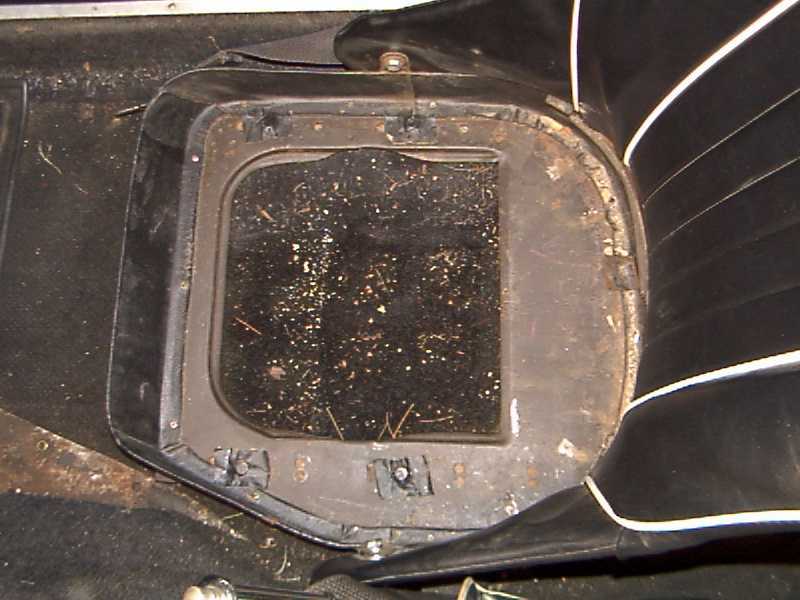 NOTE: The seat back cover is the pattern used on later cars and is not correct for this one. 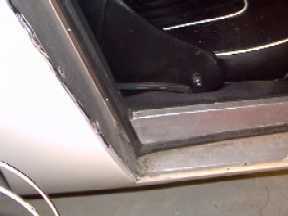 - around the hand brake.. 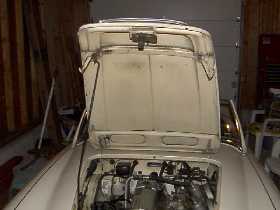 This car is owned by Rick Lees and has been in his family since new.